The latest version of Skype for the Apple iPhone has been released. 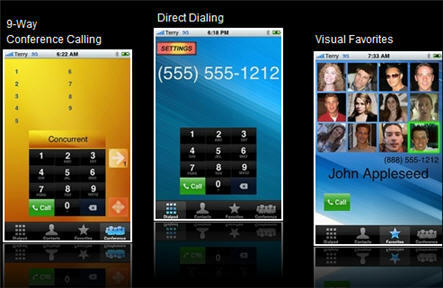 The new version is numbered 1.3.1 and unfortunately does not add 3G calling to the VoIP software. Skype first announced that it would open up for 3G calling back in February, so it was expected with the 1.3.1 update that this would happen, unfortunately it didn’t. The update that was launched today instead just fixed a number of bugs in the software that had been reported. On to the iPad for a moment. With the launch just happening over the weekend, the developers at Skype managed to get iPad’s in for testing and will now be developing a dedicated Skype iPad application over the coming months that will make use of the larger screen to deliver a better experience. “You can expect to hear more from us about an iPad app in the coming months as we now have our hands on actual iPads and can start tuning and testing”, says Peter Parkes at Skype.